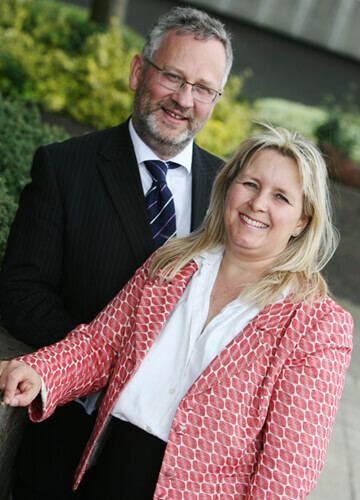 Emmersons Solicitors Directors Jacqueline Emmerson and Michael Robinson. Our Gosforth Office has wheelchair access, you can be dropped off at our front door and there is free parking on the adjoining streets. You can park opposite our Sunderland Office on John Street. Emmersons Solicitors, are a leading North East based law firm, with offices in Newcastle upon Tyne and Sunderland. We also act for many clients who live in all parts of the UK as well as expats living abroad or who are returning to this country. Established in 1998 in Sunderland, the firm was set up by Jacqueline Emmerson who previously worked for a North East 'City' standard law firm and has since built up an excellent reputation for offering a high quality of service both in the North East of England and Nationally throughout the UK. We pride ourselves on offering a prompt and efficient service at realistic prices and aim to exceed the expectations of our clients whether their needs are personal or work-related. Our specialist knowledge is a benefit to our clients as they can be confident in the knowledge that they will be receiving the best advice and personal approach from a highly skilled, hand picked team. Make the right choice for you, choose Emmersons Solicitors, let us be there for you. We frequently act on behalf of clients in Washington, Seaham, Houghton le Spring, South Shields, Whitley Bay, Ponteland, Gateshead and Gosforth. "Emmersons Solicitors oversaw the purchase of our new brasserie and bar in North Shields. Their commercial property lawyer was extremely efficient throughout the whole process and we felt confident that we were in a very safe pair of hands. We wouldn't hesitate in choosing Emmersons Solicitors again and would highly recommend their legal services to anyone looking to buy a commercial property." "As a new business start up, Emmersons was very good at explaining every issue to me. Without their swift and methodical advice, I wouldn't have been able to launch the business when I did and I certainly wouldn't have seen the growth I have experienced already." A1 Motor Cycle Training School. "An extremely efficient Solicitors always very courteous. Helpful Staff, very knowledgable, with expert help and advice.I recommend their services." "Your team helped make what was a difficult time in my life a lot less stressful. I must give a big thank you to my Solicitor who always acted with professionalism throughout, her advice was always sound. I am totally happy with the outcome of the divorce and can now move on with financial security thanks to the efforts of Emmersons Solicitors. Thanks to all." "I would like to thank all I had contact with, even your receptionists are really helpful and patient. I was always made to feel comfortable . Please thank everyone from me." "We received very prompt and helpful support during our conveyancing project"